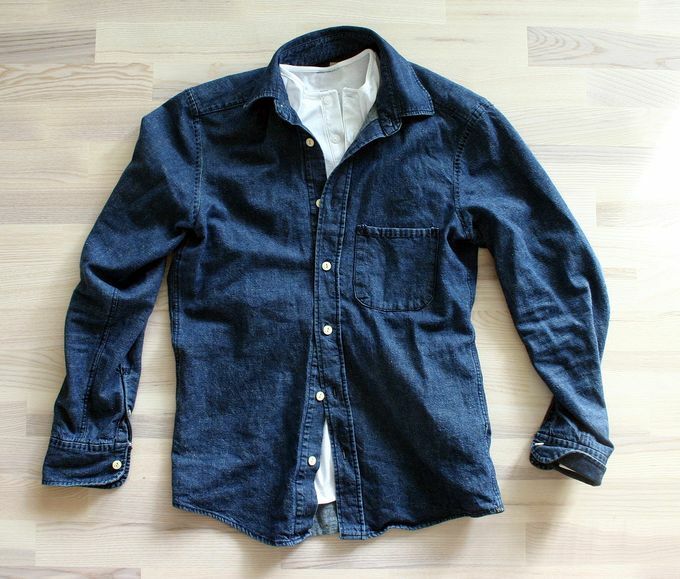 A shirt I got from Mr Porter's sale at the beginning of this year will provide the inspiration for today's IotW post. This particular shirt comes from Danish brand called NN07 that specializes in street wear. The reason I'm making this post about this particular shirt is that this kind of heavier denim shirts make fantastic "jackets" during summer. Best worn with a Henley (as pictured here) underneath, or even a T-shirt. Mine is now waiting for my unlined Alden chukkas to arrive. Once here and the weather has got warm enough, all it will need are rugged cotton chinos and Ray-Ban Wayfarers for the ultimate casual summer look.